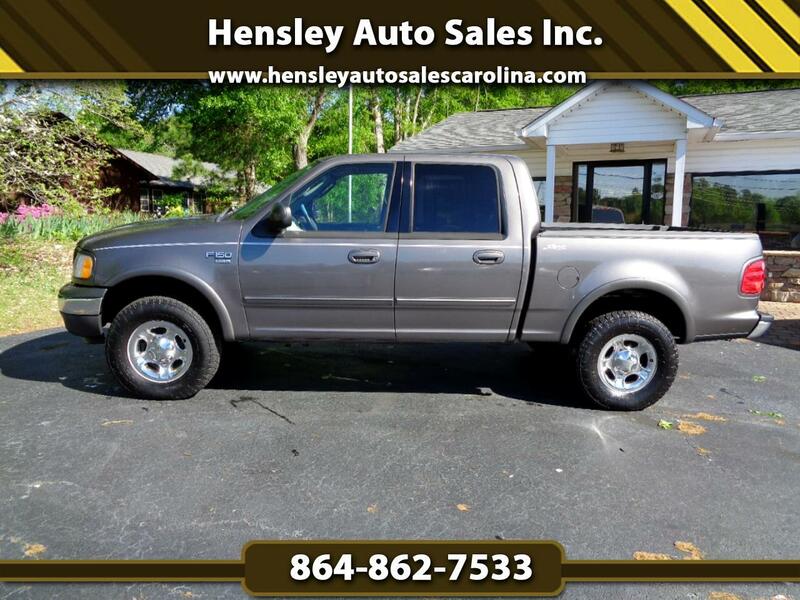 Used 2003 Ford F-150 Lariat SuperCrew 4WD for Sale in Greenville SC 29644 Hensley Auto Sales Inc. This is a hard to find 2 owner F150 Lariat 4x4. Auto, ice cold a/c, chrome wheels w/ very good tires, leather interior, sun roof, frame mounted tow package and all power equipment.